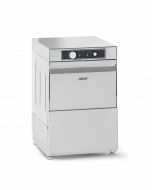 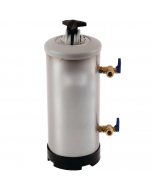 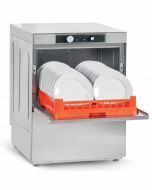 MACH commercial dishwashers offer increased wash pump pressure to ensure even the heaviest of soiling is removed whilst improved boiler power helps to ensure quicker heat up and recovery times. 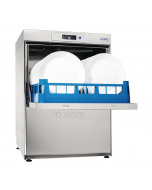 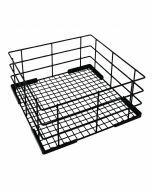 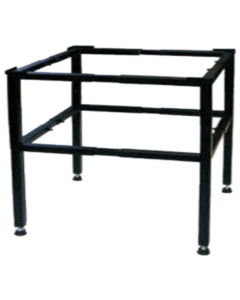 They are the ideal for larger establishments such as Restaurants, Pubs, Bars, Canteens, Nurseries and Care Homes. 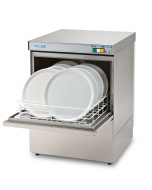 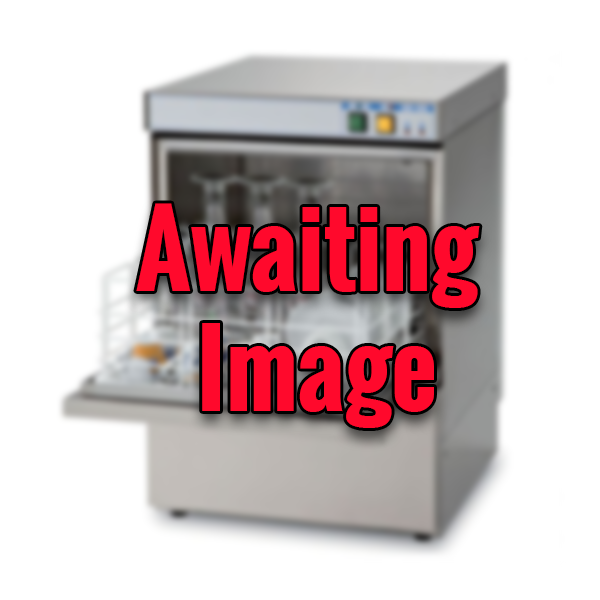 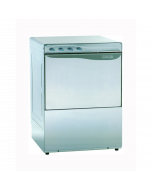 MACH dishwashers are manufactured entirely from high grade stainless steel, including stainless steel interior, cabinet, boilers, threads, wash arms, plugs and jets. 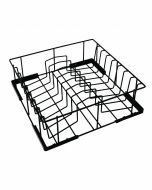 This design helps to prevent the most common break downs and ensures a durable machine that is well suited to long-term commercial use. 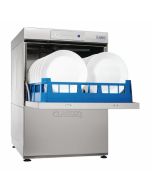 This promise of quality is backed by an extensive 3-year commercial warranty as standard. 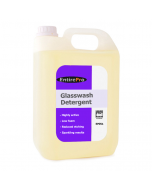 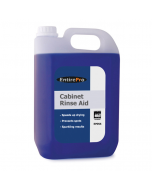 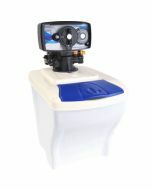 Operation is completely automated: incorporated detergent and rinse aid pumps are fitted as standard and dose chemicals automatically on every cycle at the correct level. 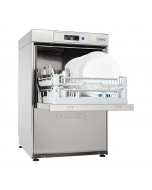 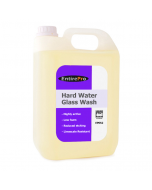 A fixed 2.5 minute wash cycle help to ensure simple, effortless yet efficient operation. 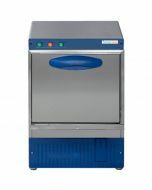 An extended 3 minute cycle is available on 500 basket machines. 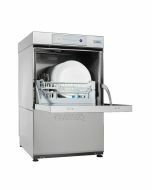 Full WRAS approval guarantees compliance with water board legislation for commercial dishwashing. 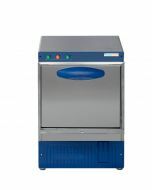 A micro switch automatically halts machine operation when the door is opened and thermostatic protection ensures water heating at safe temperatures. 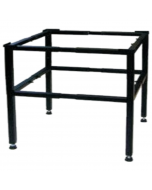 Construction is in full compliance with CE regulations.